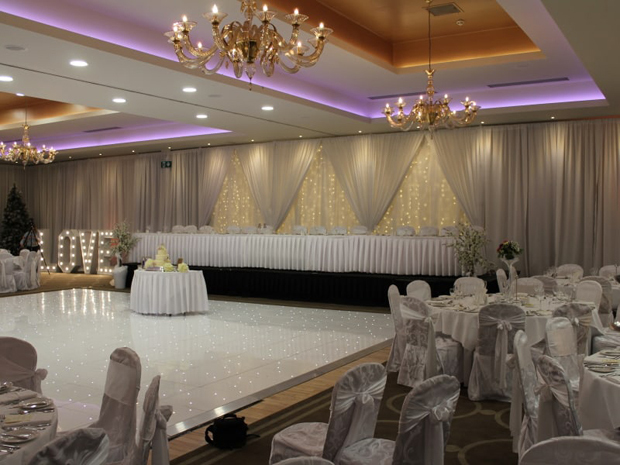 The dance floor will be getting plenty of action on the Big Day so we love the idea of making it a feature. 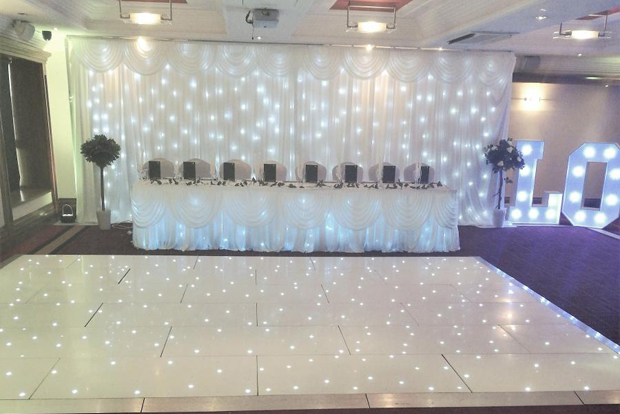 An LED dance floor is a gorgeous way to add some sparkle to your reception room and ensure it stands out! They look amazing at all styles of weddings from a Black Tie bash to marquee shindig or vintage inspired celebration. 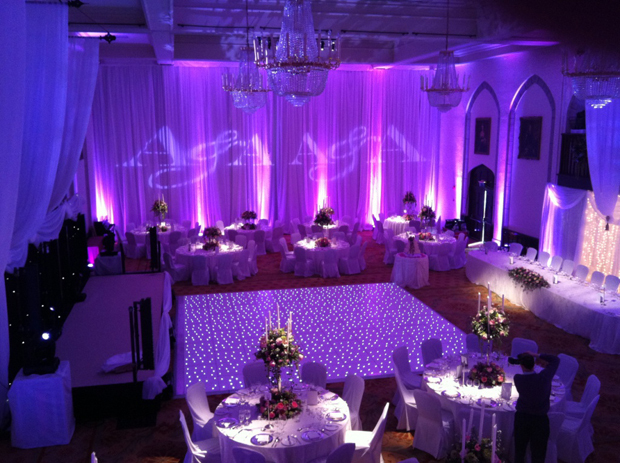 As the light fades, a twinkling dance floor will light up the room and create a romantic, intimate ambiance. 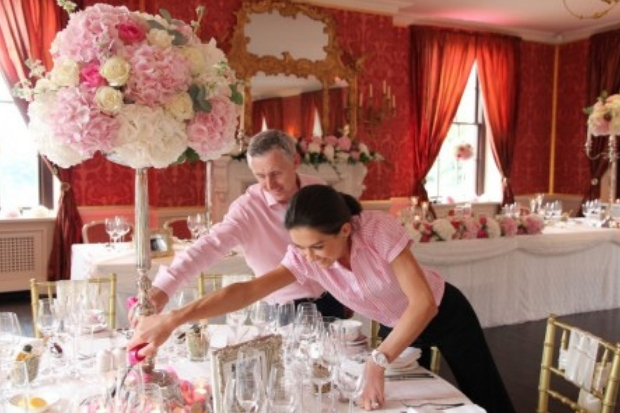 If you’re looking to hire one for your own wedding, check out Irish suppliers below. And you can see some pretty pics of these twinkly beauts too! 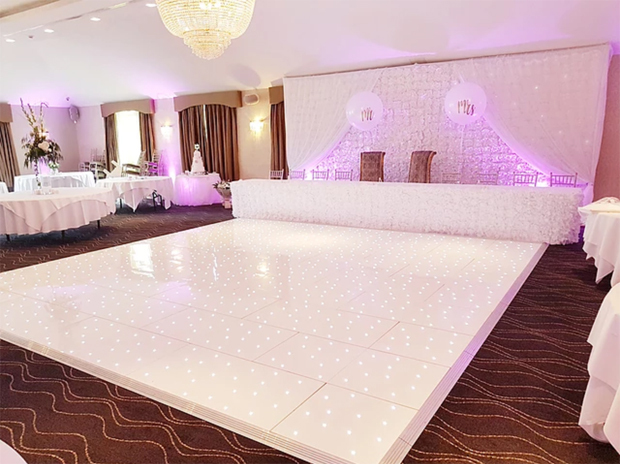 Or if you love the idea of a striking dance floor but aren’t big on sparkles, a chequered dance floor is another super cool option. 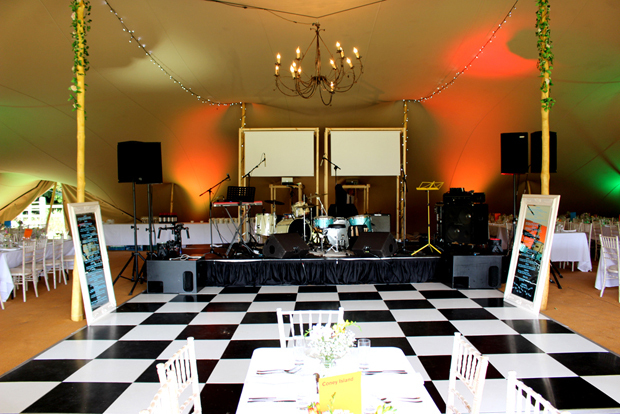 The Outdoor Wedding Company specialise in marquee weddings and stretch tents but also can supply your chequered flooring. Check out a pic below! And if you’re looking for some fun light up letters to complement your sparkly dance floor, be sure to check out our guide on Where to Source Light Up Letters. 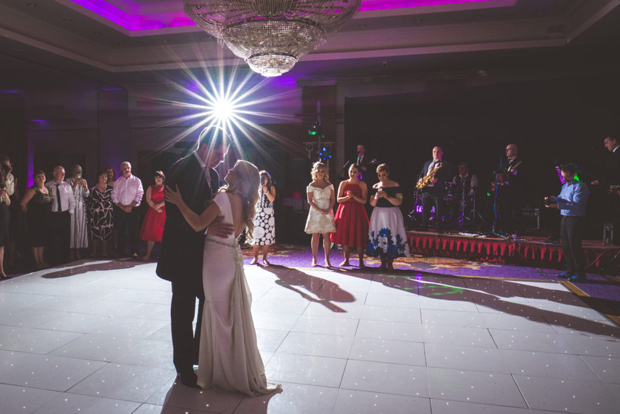 There are several companies that specialise in LED Dance Floors throughout Ireland. 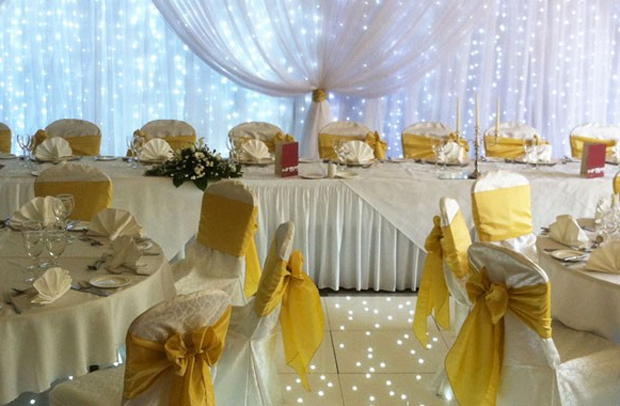 They include Chic Events, Infinity Wedding Services, LED Dance Floor, Perfect Details and Add a Little Sparkle.